Your weekly process should start off each week by examining how the oddsmakers in Las Vegas projects each game will transpire. 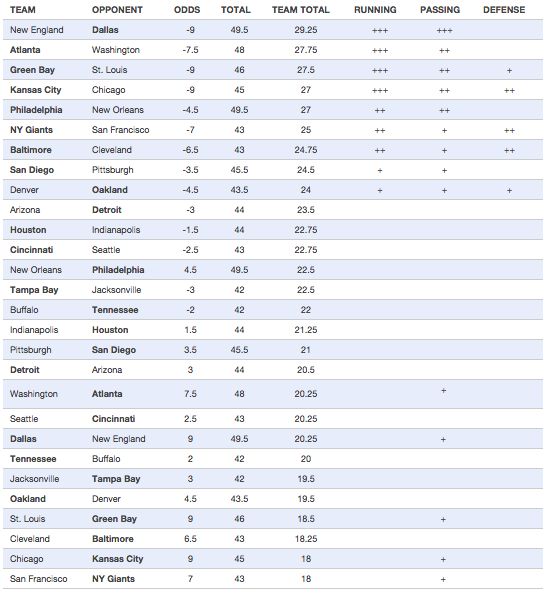 The Vegas Value Chart does the heavy lifting for you by loosely identifying the gamescripts for each game in Week 5. Check out the complete VVC here.